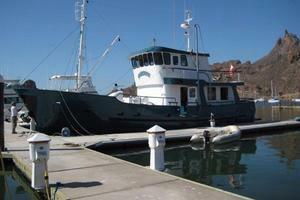 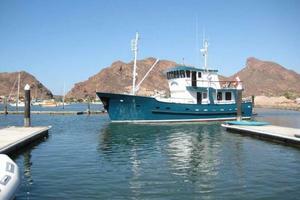 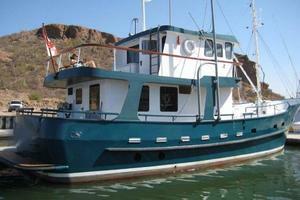 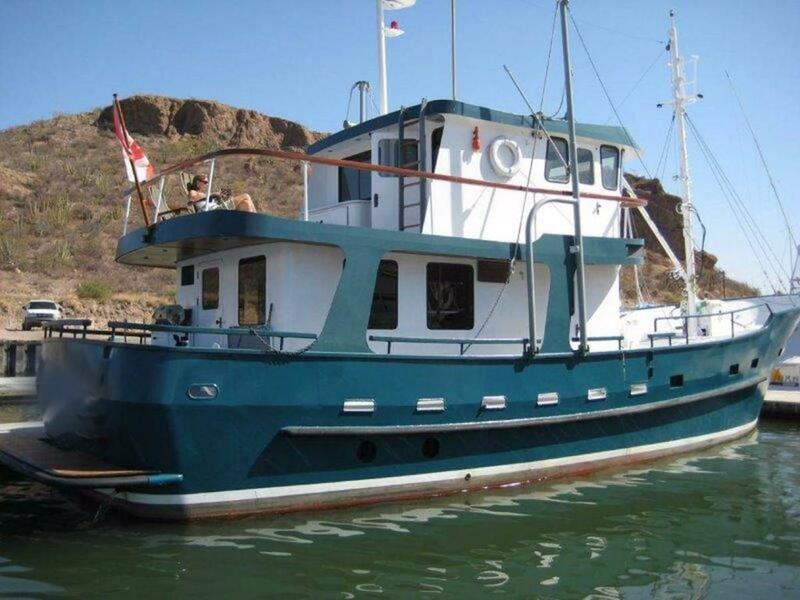 This 58 Custom steel North Sea Trawler is truly the ultimate bluewater passagemaker. 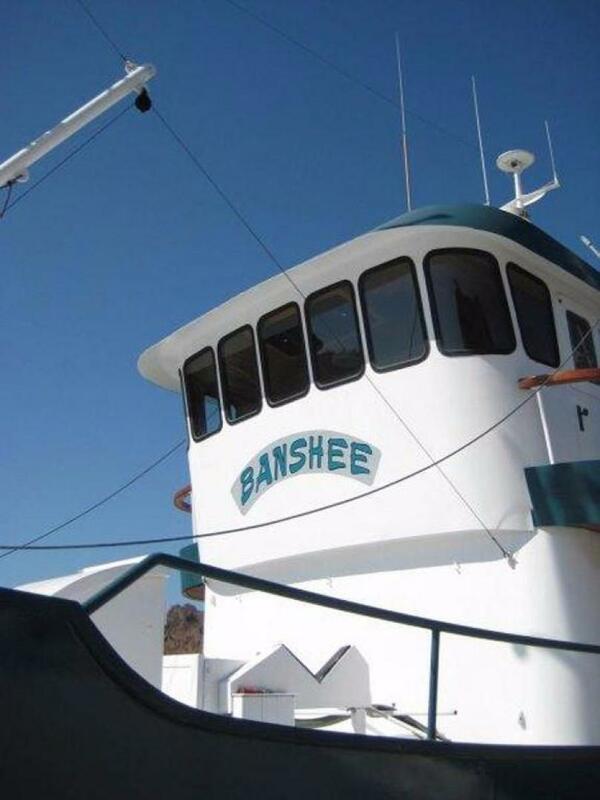 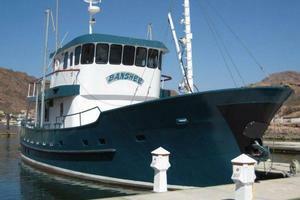 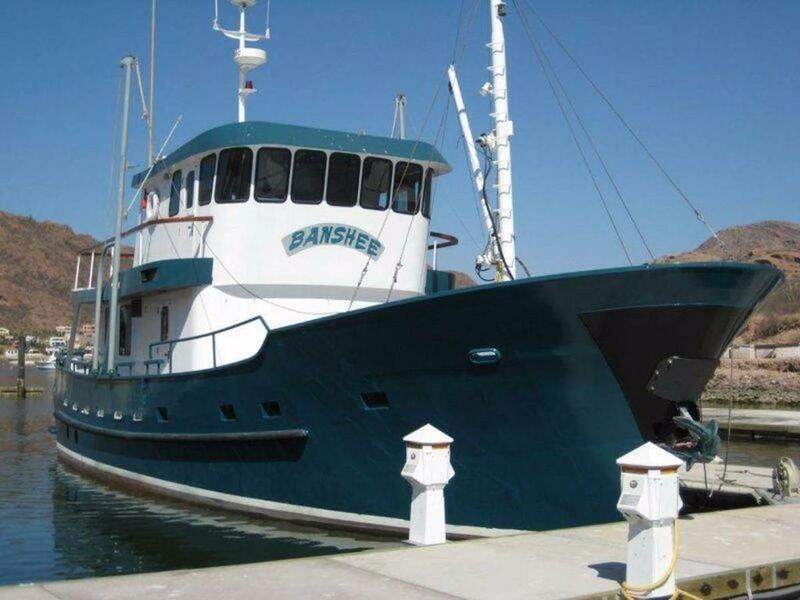 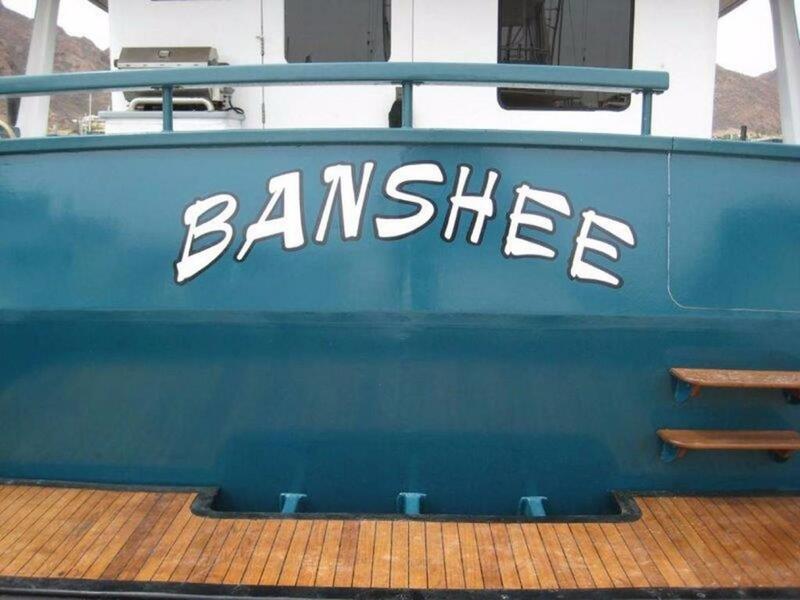 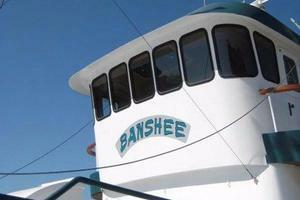 The Banshee was incredibly well designed by her only owner and has been extremely well maintained. 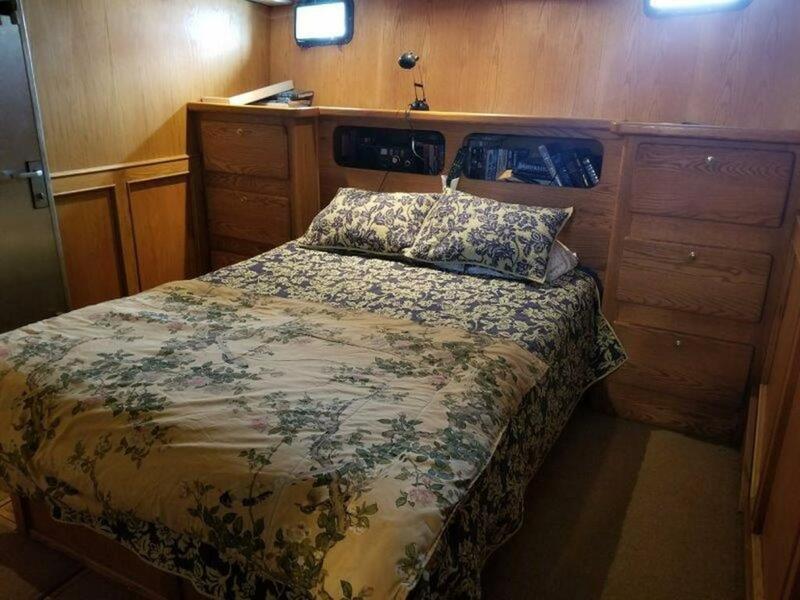 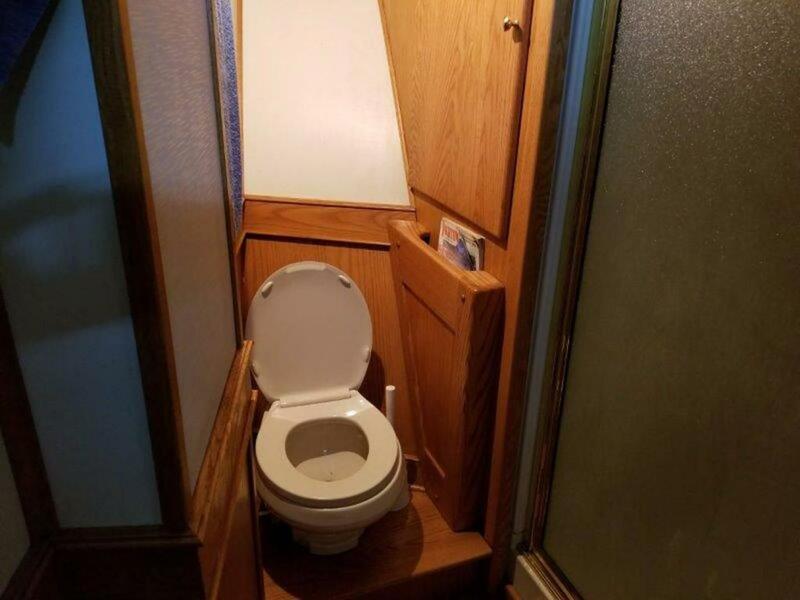 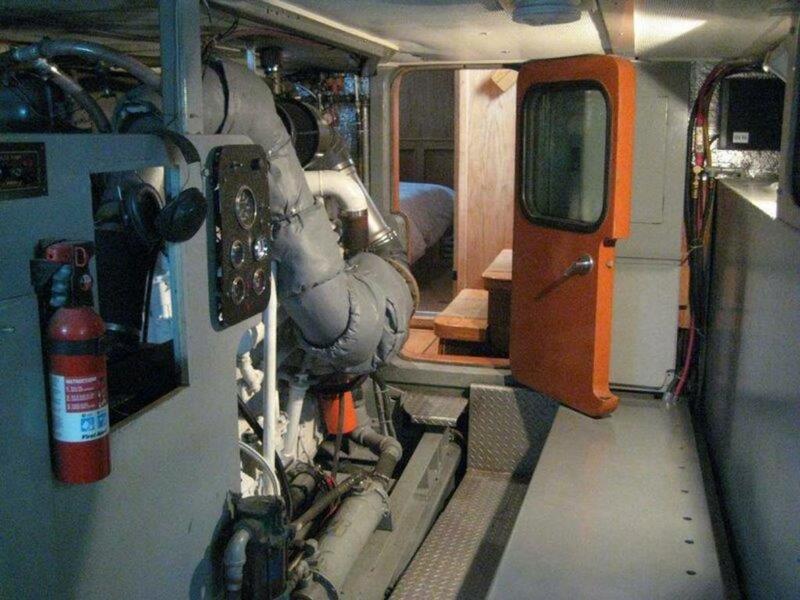 She has a single Cummins 300HP motor and is keel cooled with approx. 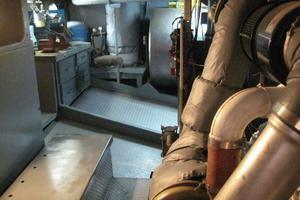 100 gallons OFM fluid in full length keel 50% anti-freeze, 50% water. 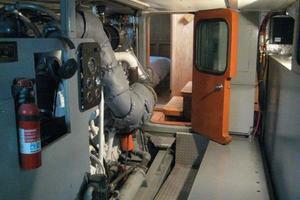 The exhaust is water cooled and goes through an aqua lift and out stern. 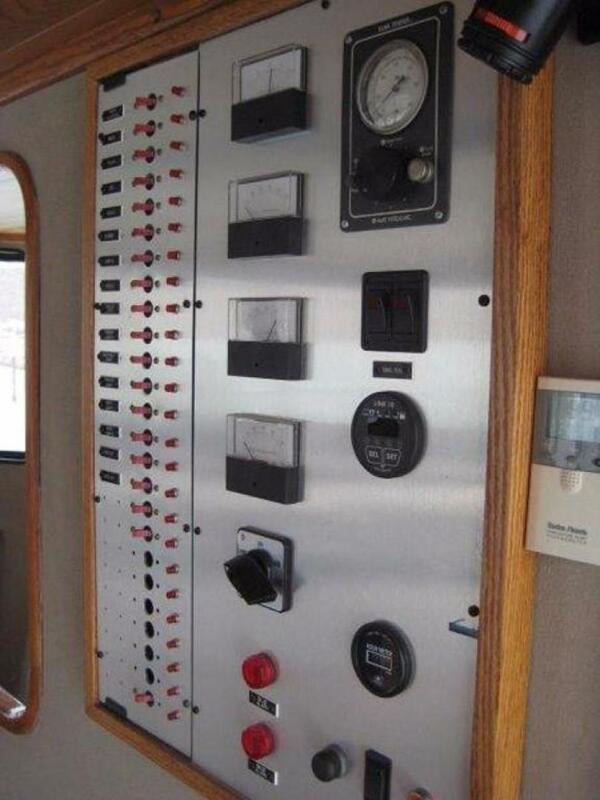 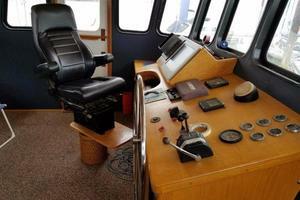 She has a state of the art bridge with full electronics, autopilot and radar. 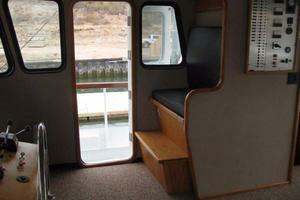 Her full beam salon includes plenty of seating and great views through her many windows. 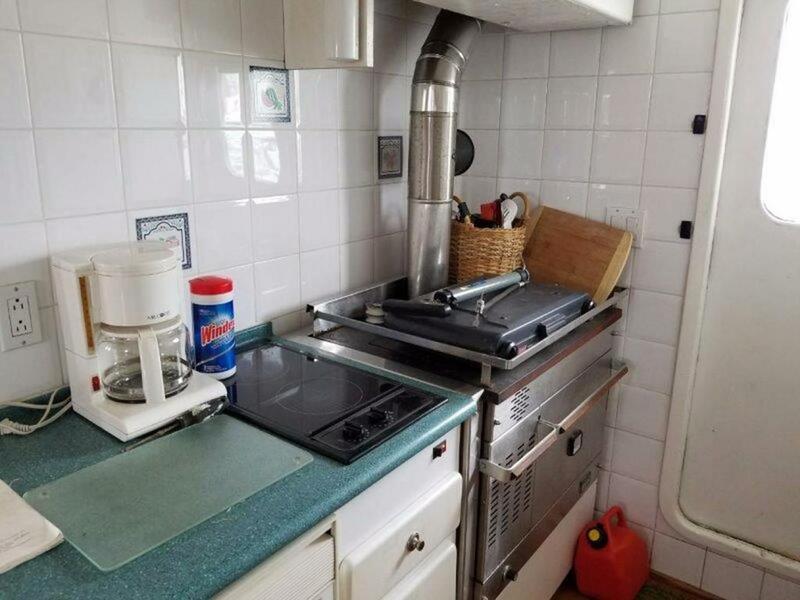 She is warmly heated by her full-sized Dickerson furnace with oven for those colder NW nights. 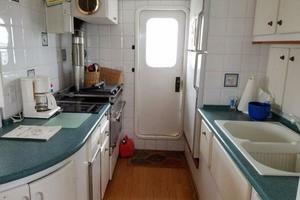 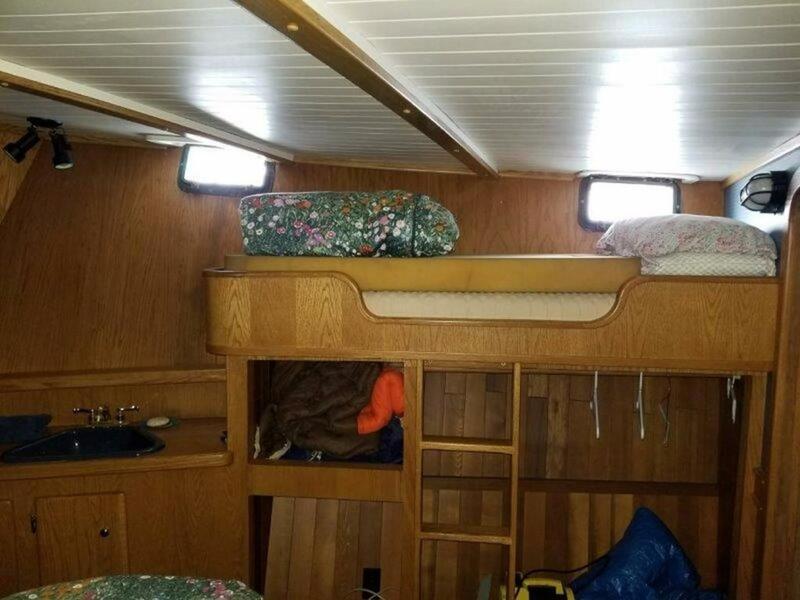 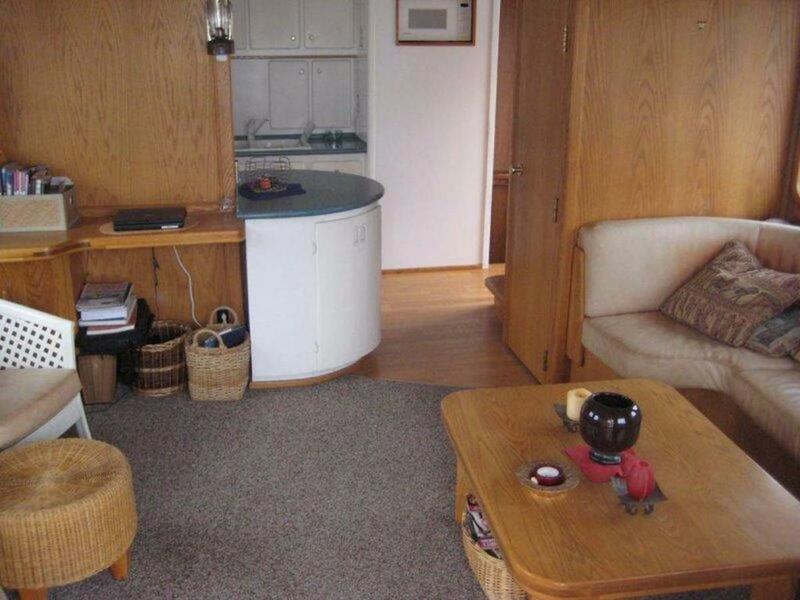 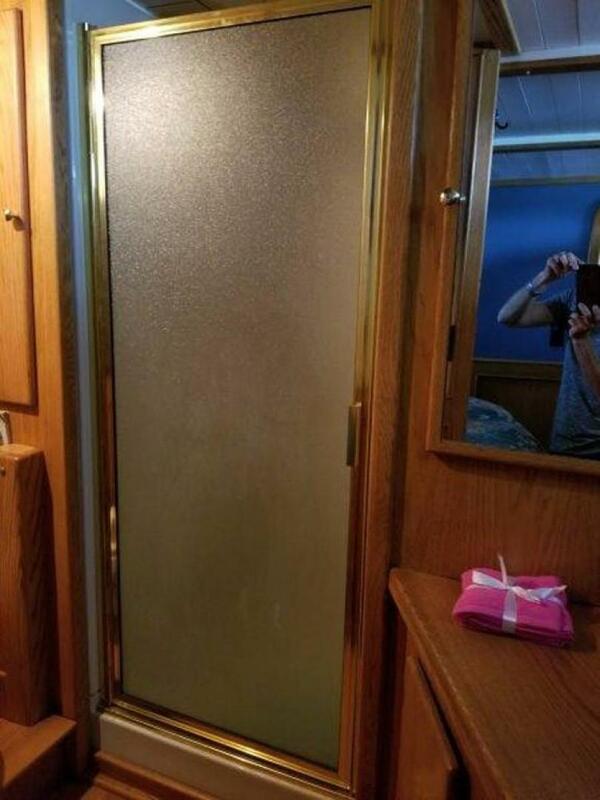 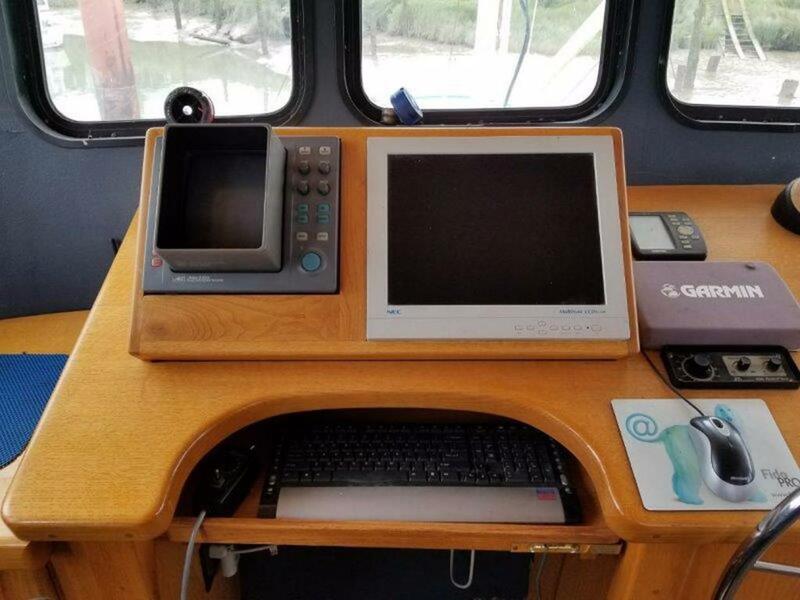 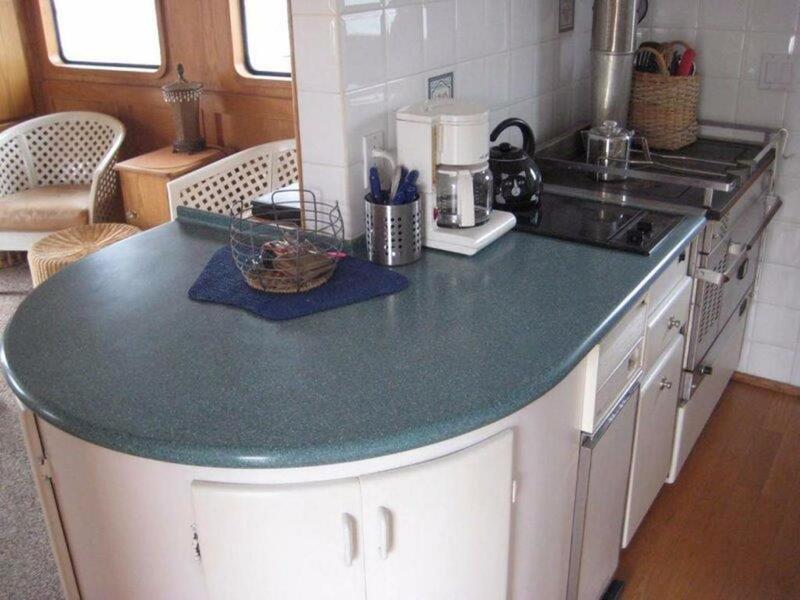 Her galley has full sized appliances with trash compactor that run directly off her generator or the large inverter system. 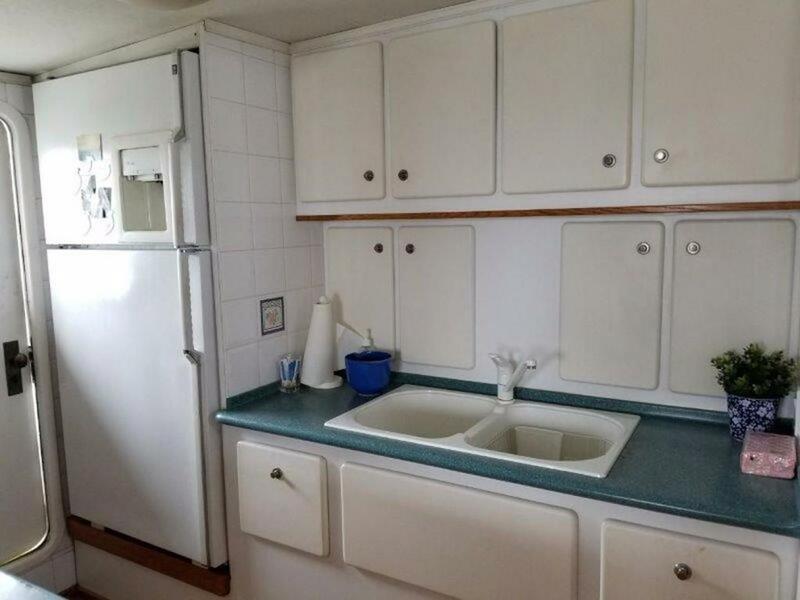 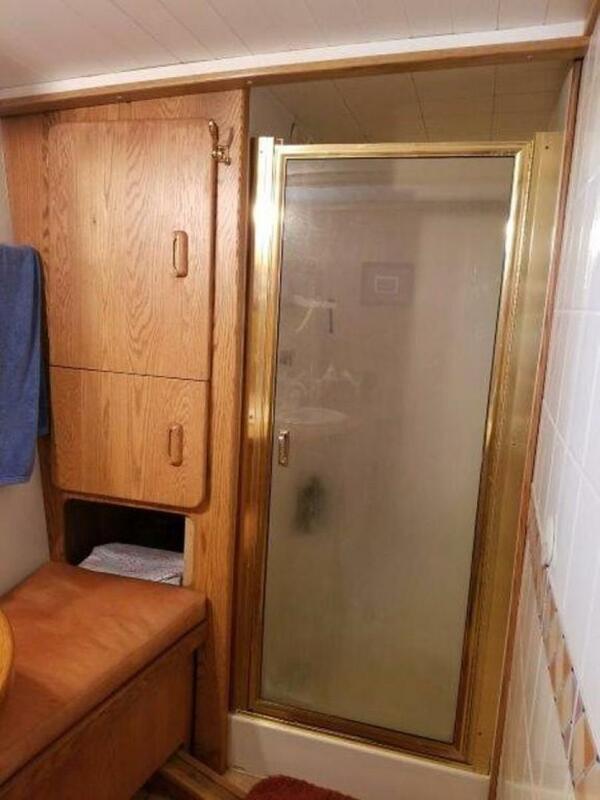 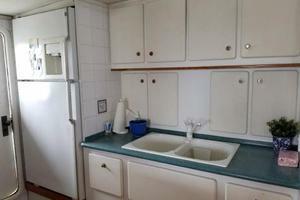 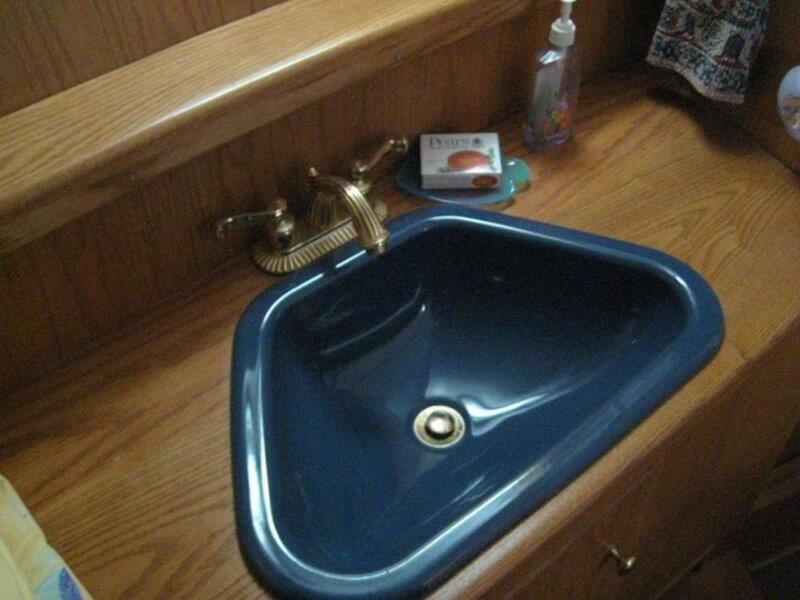 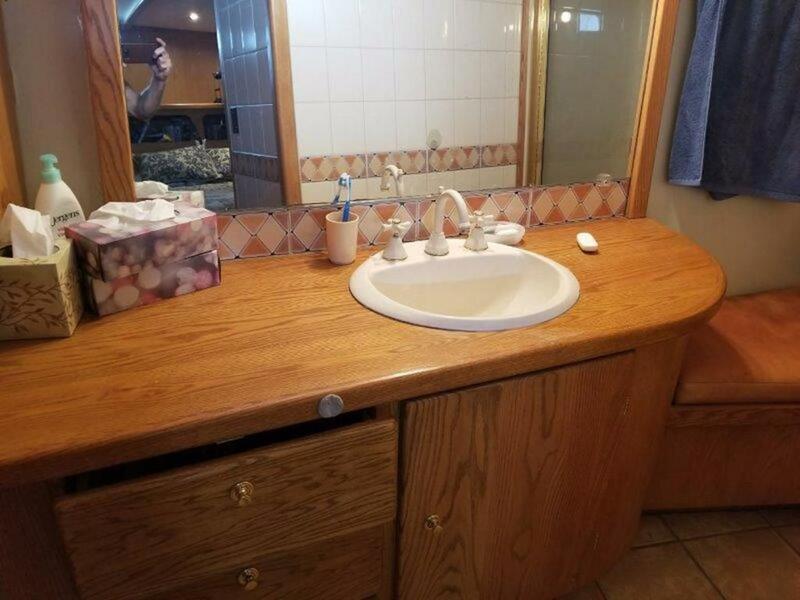 It has oak floors and Corian countertops. 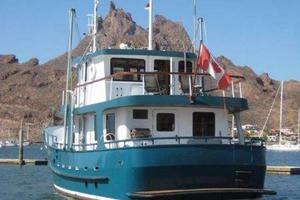 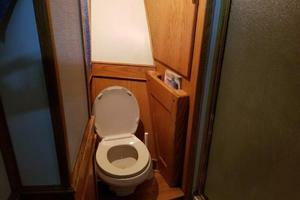 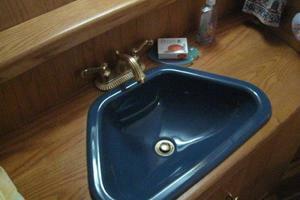 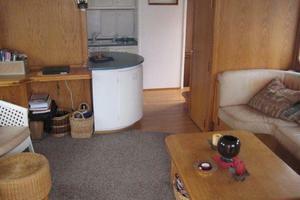 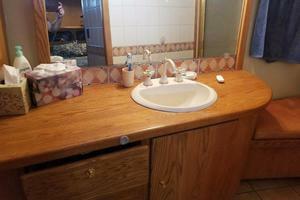 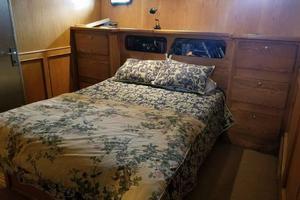 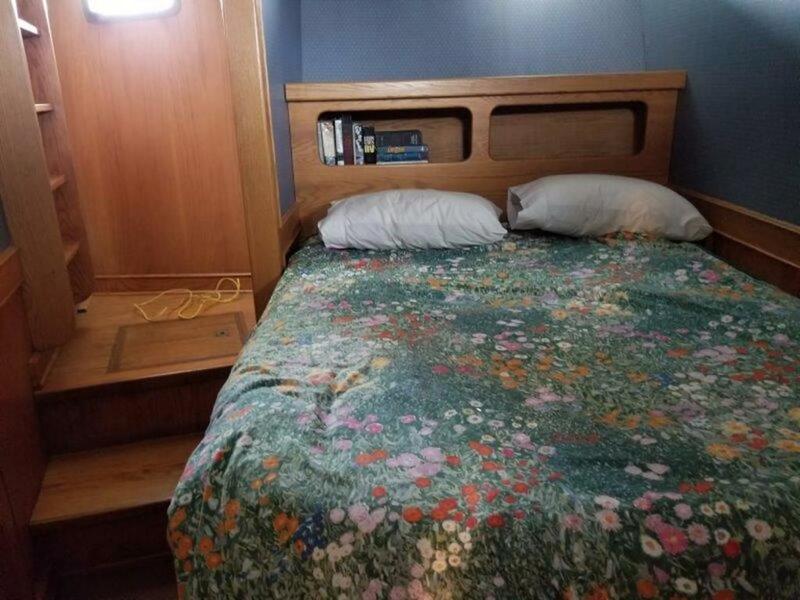 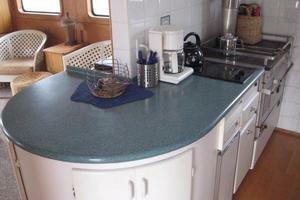 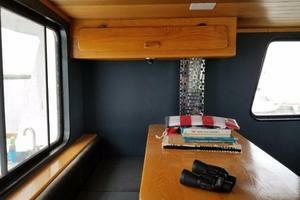 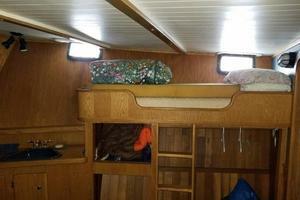 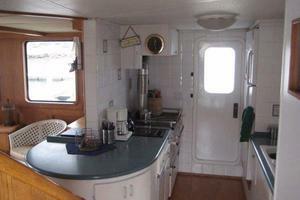 She has a master stateroom with plenty of storage, a full island queen berth and a private master head with full bath. 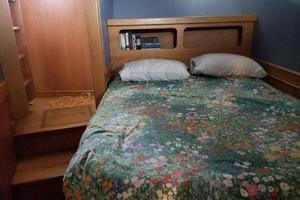 Her guest stateroom is also very roomy with full island queen berth, a single berth and its own private full-sized head. 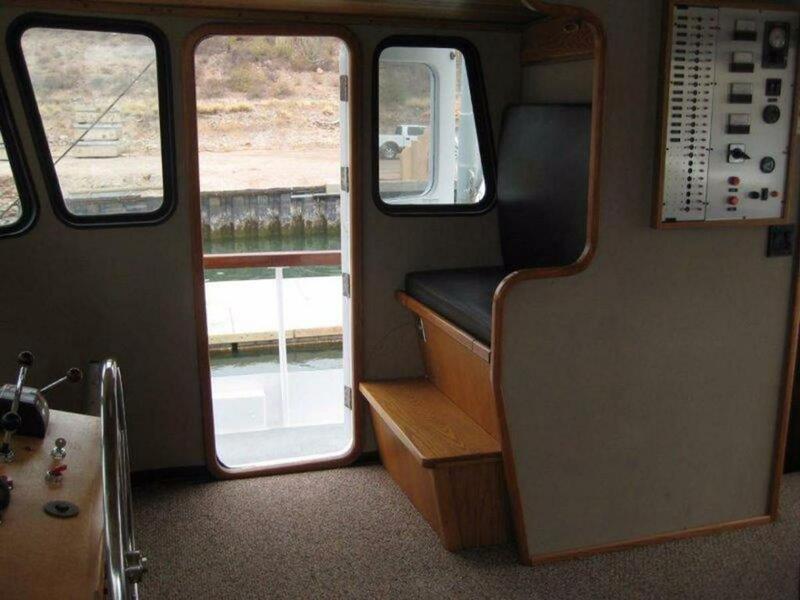 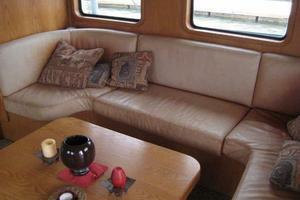 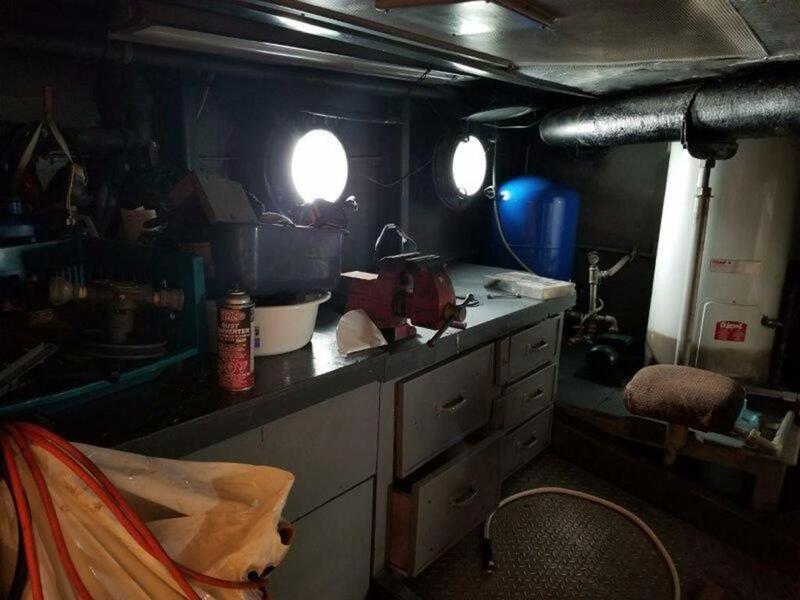 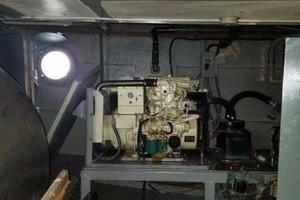 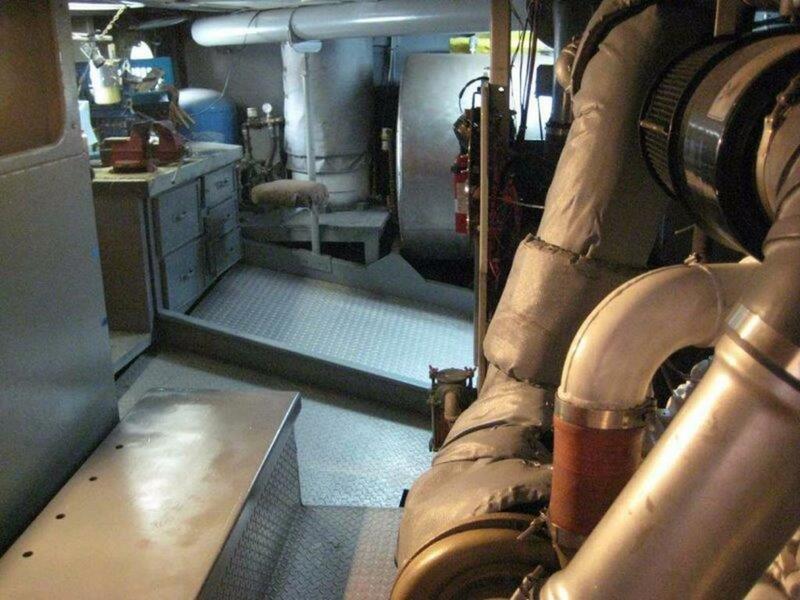 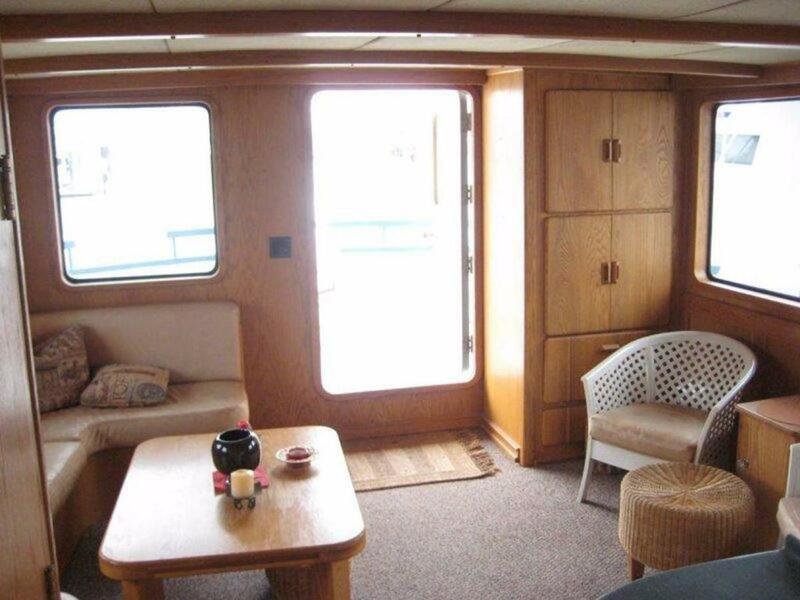 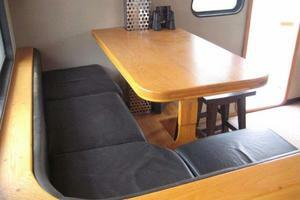 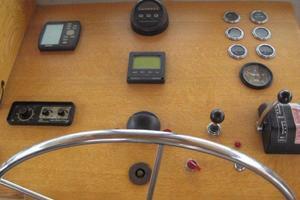 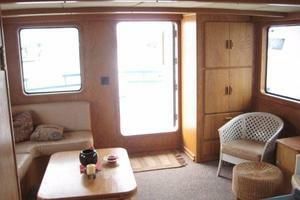 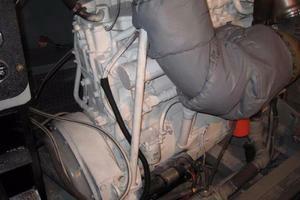 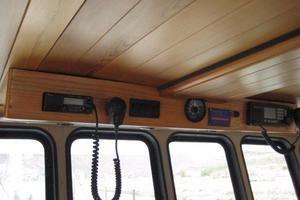 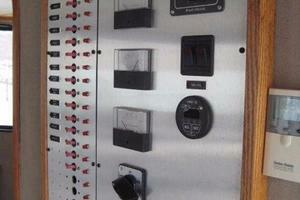 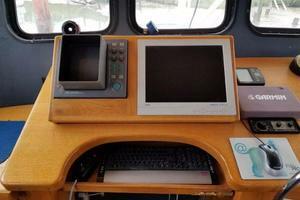 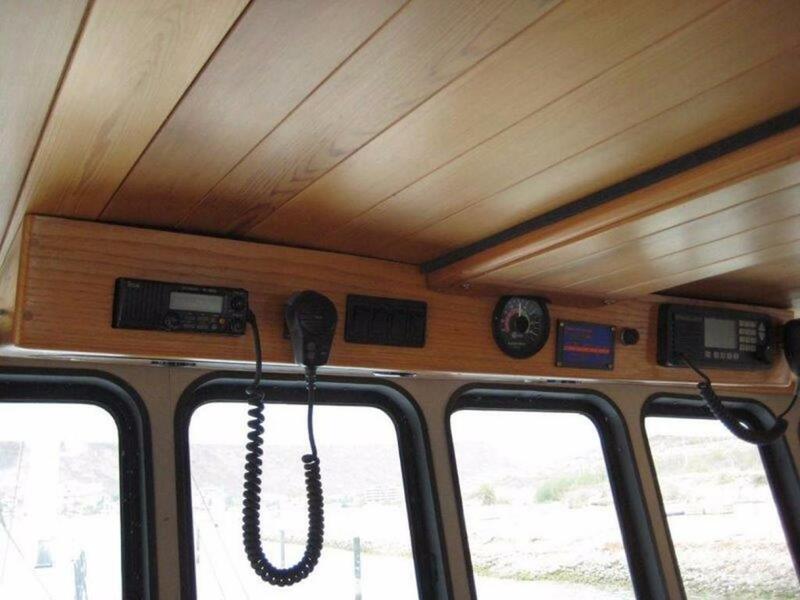 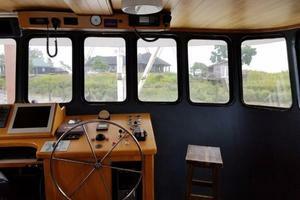 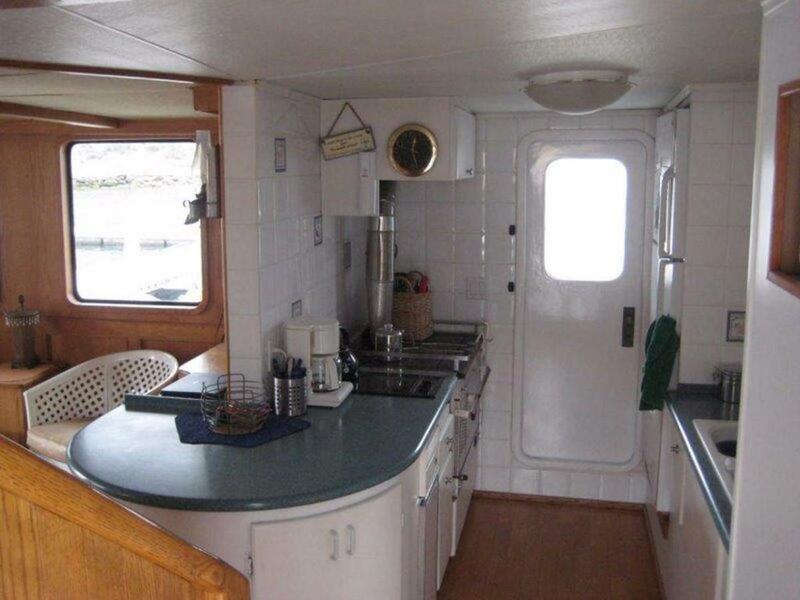 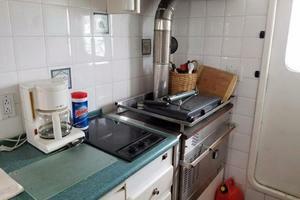 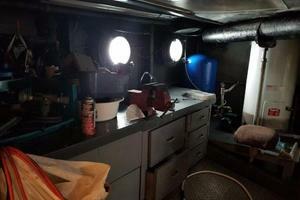 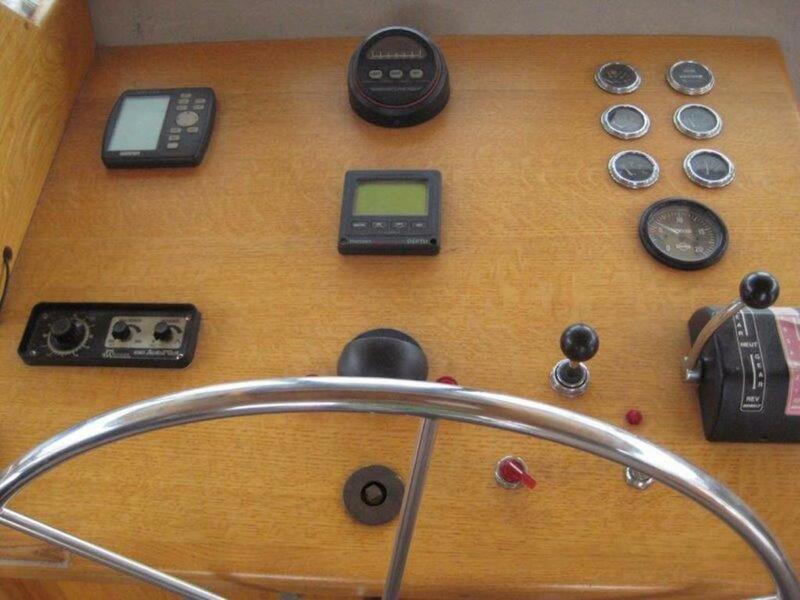 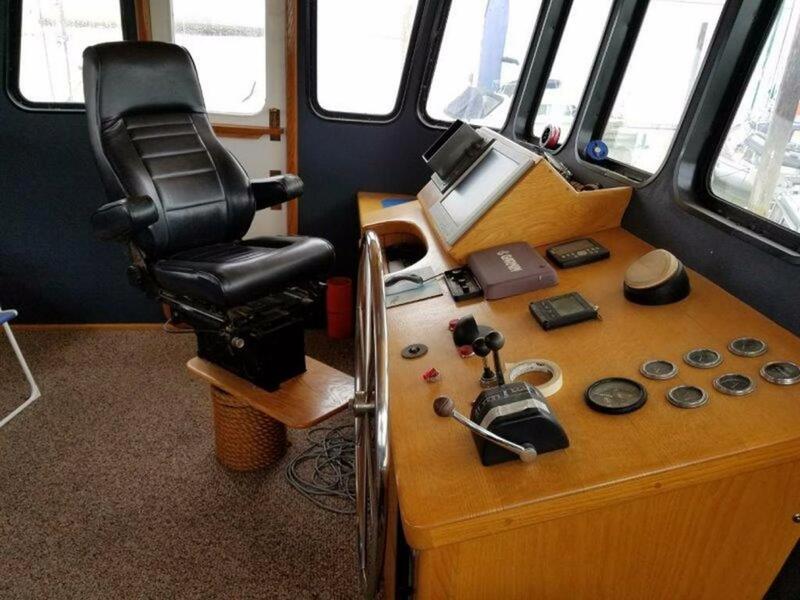 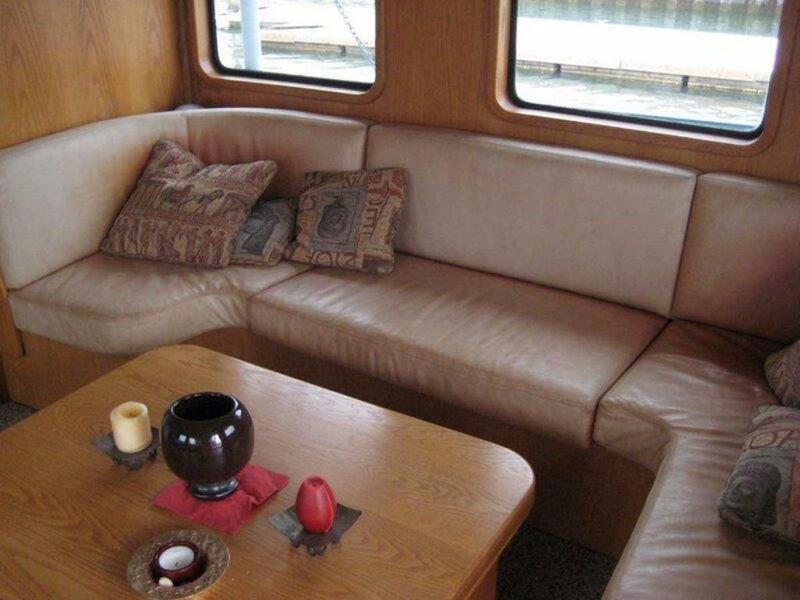 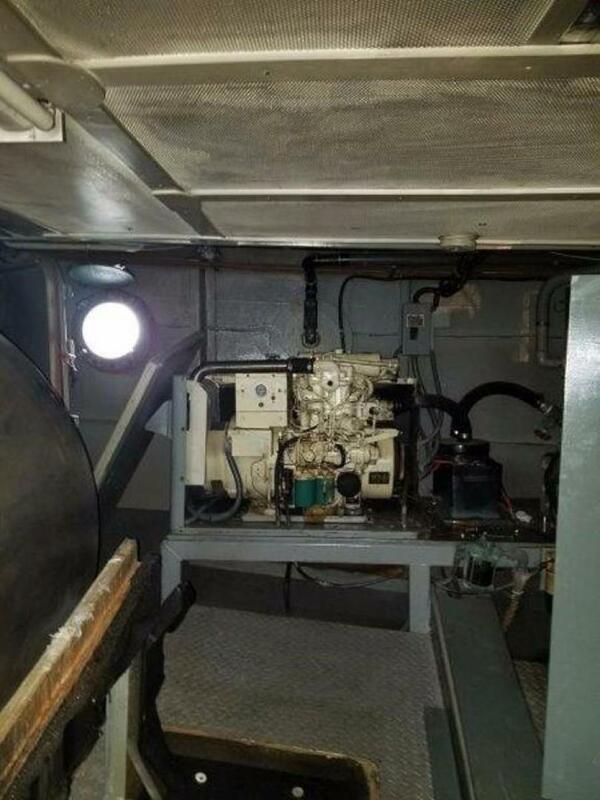 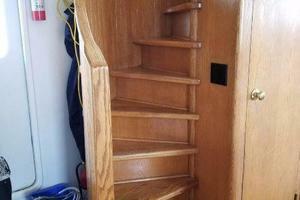 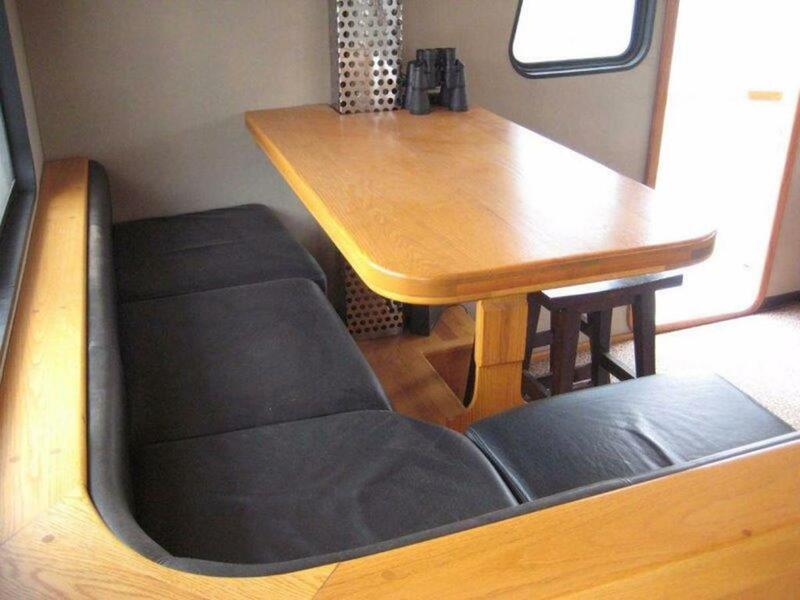 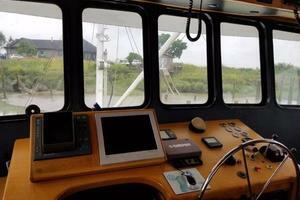 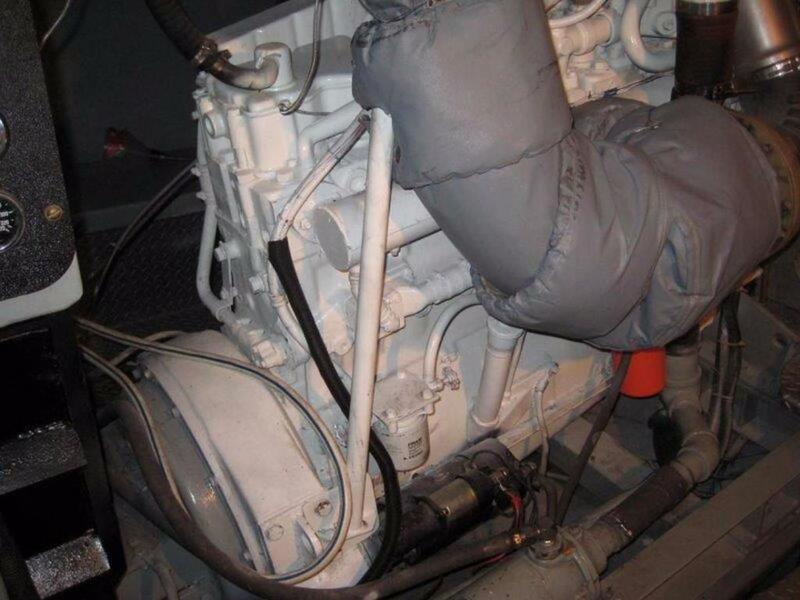 She has a huge engine room that also houses a complete shop area with spacious work area and a lot of storage. 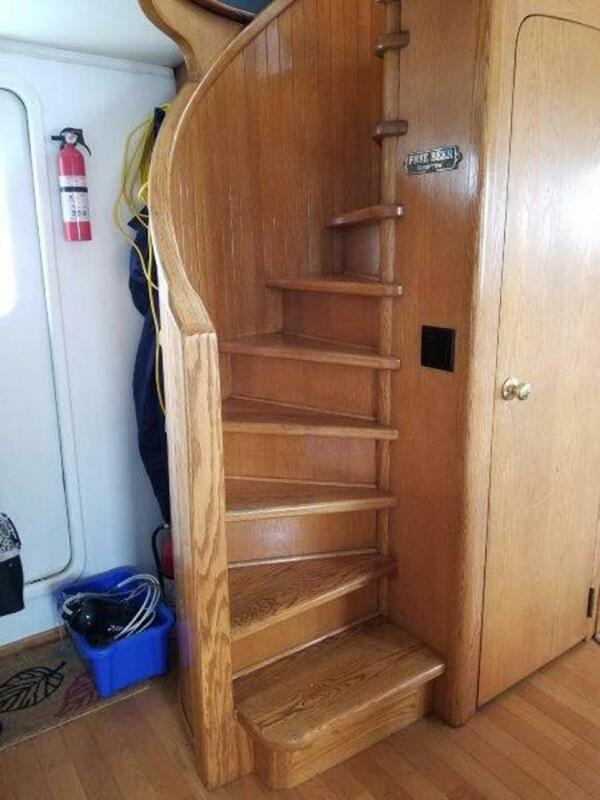 Her elegant spiral wood stair case leads up to the drive station with even more seating and the table converts to a double bed. 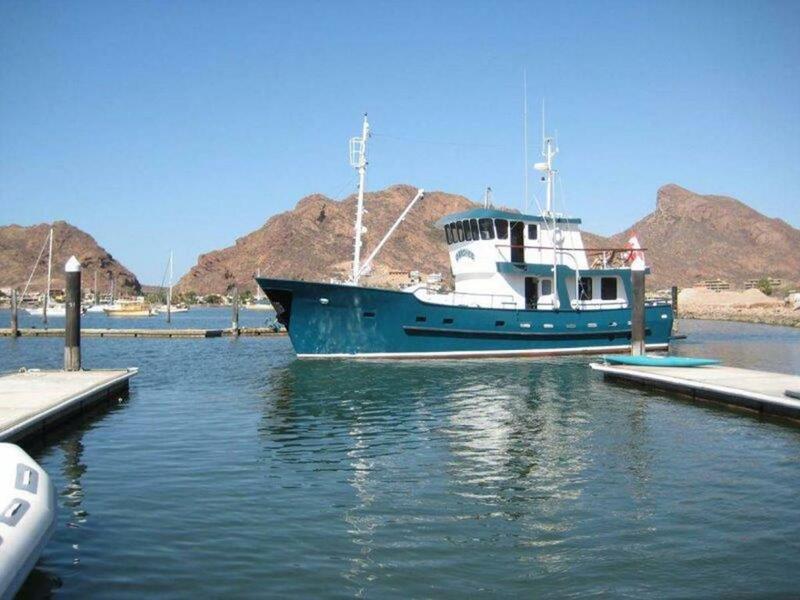 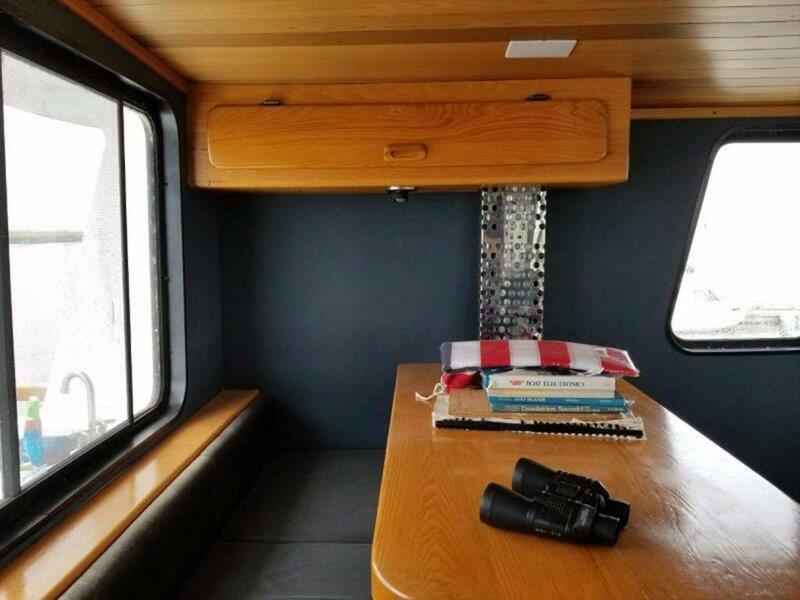 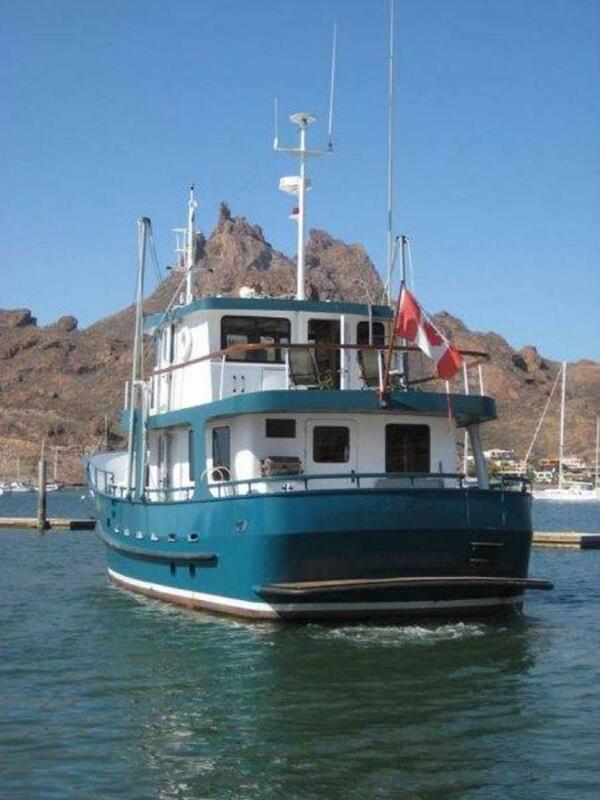 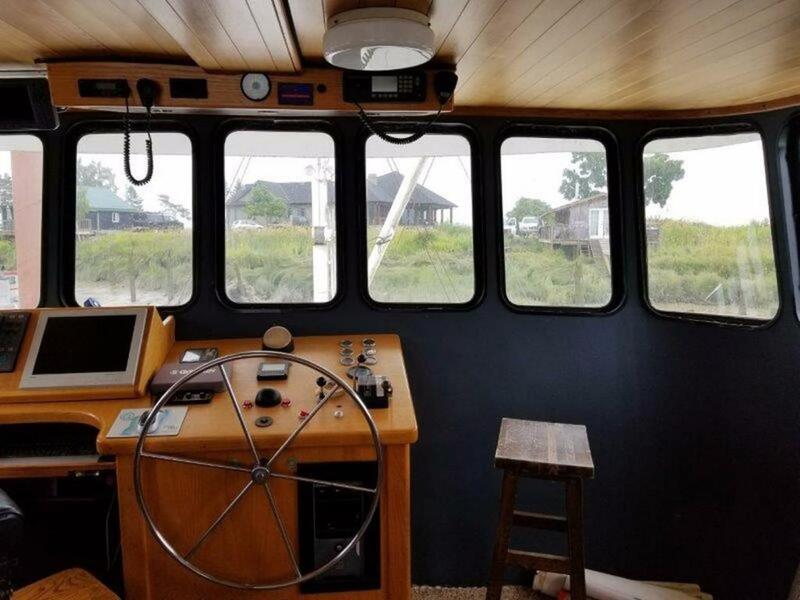 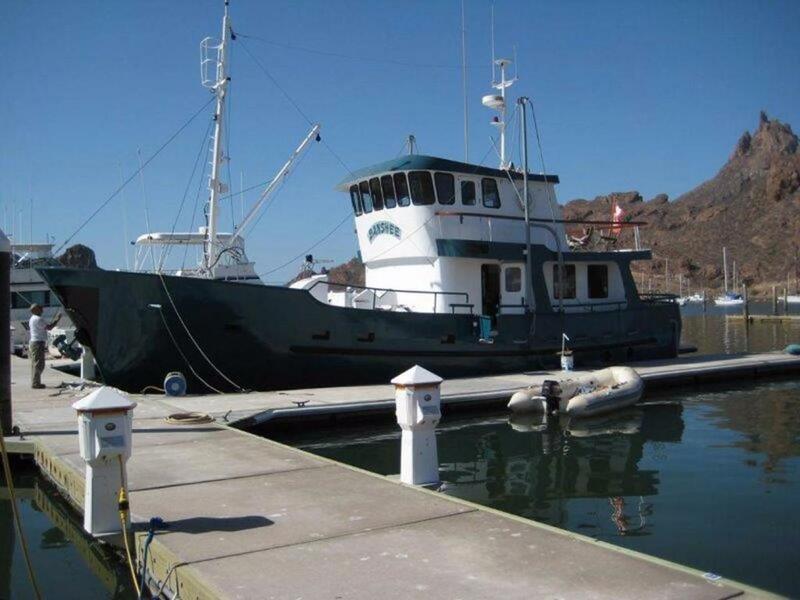 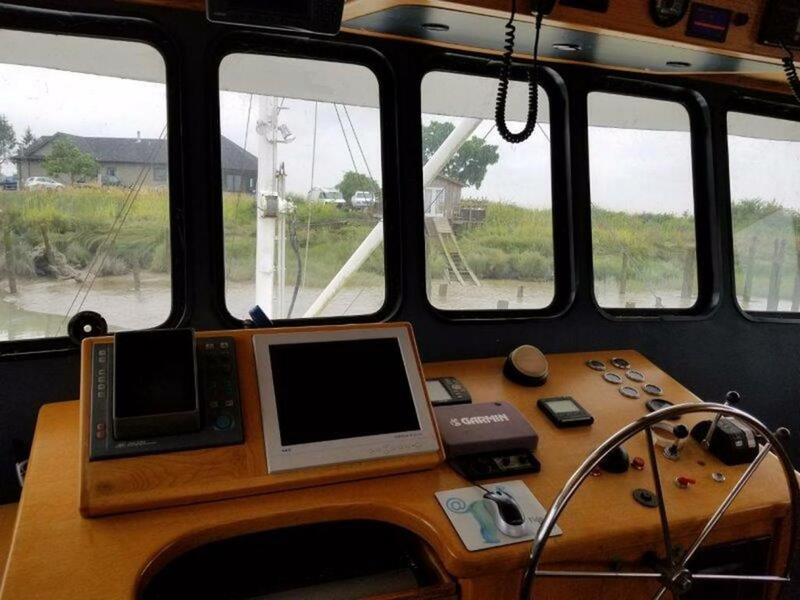 Whether your dreams point you to the San Juans or San Carlos, this spectacular long-range trawler will get you there safely, in comfort and style. 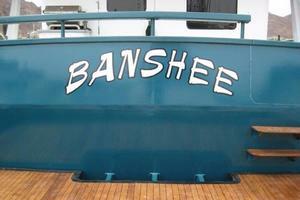 The Banshee also comes with a ‘ 2012 11.5’ Dooray inflatable rigid hull dinghy with an 18hp mercury outboard.